If you colour your hair, you can relate to the feeling of leaving the salon after an appointment. For me, it's how some people might feel after applying red lipstick or wearing high heels: I feel like I can rule the world. Like Oprah, Captain Marvel or Britney Spears, I'm in charge; I'm that. b*tch. (Even if I had freaked out that morning about losing my phone when it had been in my pocket the entire time.) And my hair is blonder and bright — lifted, gifted, higher than the ceiling, ooh wee it's the ultimate feelin' . . . Even though I love being blonde, it's inevitable that my hair will get brassy between salon visits. After feeling like it was something I'd always have to deal with, I learned a few tricks to help keep my hair looking bright and fresh, even when it's been a few months since seeing my colourist. First, I invested in a water filter. In Los Angeles, we deal with hard water. Naturally, it takes a toll on my hair. Since using the Raindrops system, I've noticed not only is my hair maintaining its colour longer, but it's softer, and so is my skin — it doesn't feel tight and dry like it used to. But the best, quickest fix for reviving brassy, blonde hair to fresh, cool-toned blonde is a product that my colourist Justin Anderson shared with me. 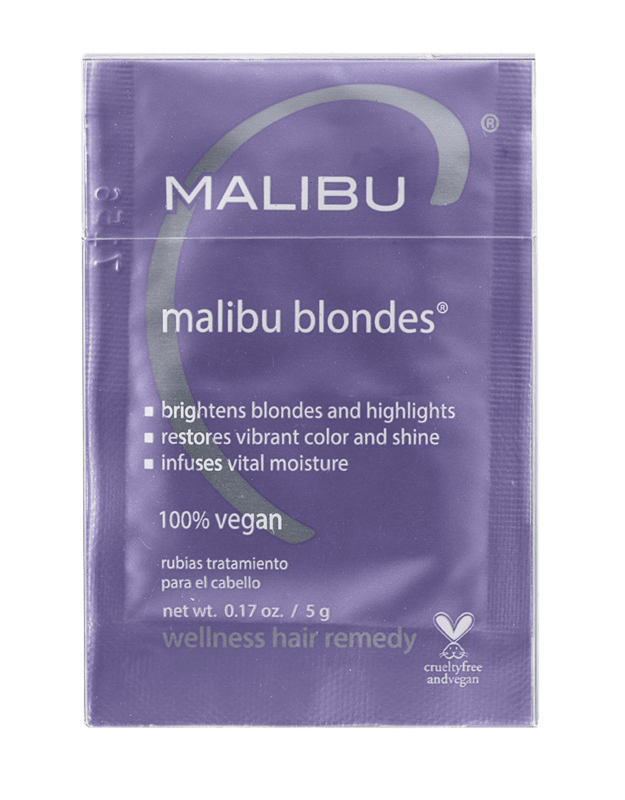 Since day one, he's used Malibu C Blondes Weekly Brightener ($46) on my hair. When I go in for a colour appointment, he washes the hair with it because it's clarifying. Because he also suggests giving the hair a break between salon appointments to help keep your hair in great shape, I've been utilising Malibu C about once a month and love how it refreshes my colour and makes it look like I just had a colour appointment. 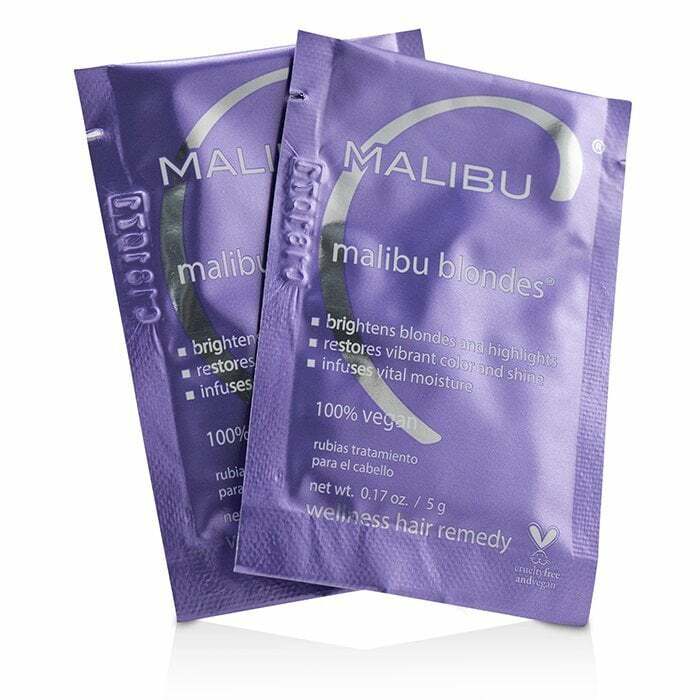 Malibu C Blondes is a vitamin C crystal powder that you use after shampooing your hair. Make sure your palm is wet, pour the crystals into it, and allow them to dissolve. Apply to your wet hair by scrunching it in; I end up massageing them so that it creates as little foam. Let it sit for five minutes so it can do it's thing — this is usually when I shave or exfoliate my body — and then rinse and condition your hair.